George and Denise present The Afternoon show every Tuesday, Wednesday and Thursday from 2 til 5, but, like many of the radio's presenters, first appeared as guests on other shows. 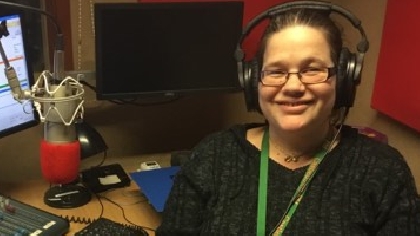 Denise was invited on in June of 2017 to talk to Kelly on The Morning Show, about her musical involvement with the Decibelles and Whistles Choir who were due to be singing at the Tidworth Town Festival. George went too, to provide moral support and after enjoying himself so much, came back as a guest on Chris Steers' Drive Time show, and the rest, as they say, is history. Denise's main interest is singing with the Decibelles and Whistles choir, who perform at many places within the community, including local care homes. George is Vice Chairman of the Armed Forces Committee which was set up in 2017 and is currently working on plans for Tidworth's first Armed Forces Day, due to take place in June 2018.